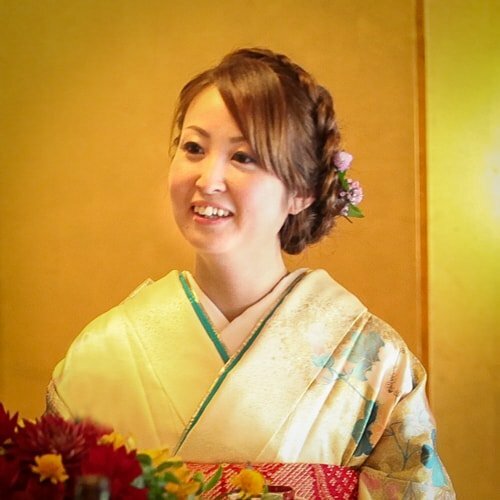 Hello, Yuko here, founder and owner of Koto Tea. Thank you for visiting, and welcome to our growing community of tea lovers. I have a passion for my home city of Kyoto, and for the local food and crafts from this region. I particularly love tea and utensils for the Tea Ceremony. I am lucky enough to live close to the famous tea growing region of Uji, and also Takayama in Nara, a village where Japan’s best bamboo tea utensil Artisan’s are based. I am proud and honoured to call many Farmers and Artisans my friends, and to make local teas and hand crafted items available to the rest of the world. I hope you can appreciate them as much as I do. At Koto Tea we pride ourselves on offering the safest and best quality Japanese teas and crafts. We look forward to getting to know you as a customer, and strive to offer you sincere and personalised service. Both my Mother and Grandmother picked tea at local farms. I remember as a child observing them wearing protective gloves and masks while picking. When I asked why, they replied “because the tea is sprayed with dangerous pesticides and chemicals”. But then they would drink the very tea they had picked. This never made sense to me, as surely consuming the chemicals was worse than breathing it in or getting it on your skin. After much research it became apparent how important it is when consuming any plant based product, to ensure it’s grown organically, and safely. This is especially important with Matcha as you are consuming the entire leaf which has been ground into a powder. We strive to offer Certified Organic teas that are routinely tested, so you can rest assured Koto Teas are safe. Nature, safety and health are at the forefront of our philosophy. Our tea is produced without any agricultural chemicals, and only organic fertilisers are used, which allows us to provide safe, natural and reliable products. Contamination and metal detectors are used to ensure our products are safe. Our tea is regularly inspected and certified by a laboratory for agricultural residue and radioactivity. You can be assured our tea is safe and natural. Koto Tea is grown on a multi-generational family farm with over 150 years of history and tradition. This experience and refinement is captured in every package of Koto Tea. Freshness is integral to the quality of any tea. Koto Tea’s are packaged regularly in small batches, which ensures the shortest time between when it is picked, and when it arrives to you. Shipped direct to you from Kyoto, Japan. Tea and matcha are sold in stores worldwide, but generally wont be as fresh and flavourful as those found in specialty stores in Uji, Kyoto. We control freshness and quality by shipping the original product direct from the source. Japanese tea production originated in Kyoto over 800 years ago when the famous Buddhist priest Eisai brought green tea seeds back from China. They were planted in the Uji region of Kyoto, and after years of refinement in production methods and flavour, Uji tea became known as ‘honcha’ or ‘real tea’. This distinguished it from other tea growing regions, and Uji tea is still renowned for having the ultimate quality and taste. Koto Tea is grown in Ujitawara, in the heart of the Uji region of Kyoto. It ensures you are getting the highest quality ‘real tea’ from Japan’s, if not the world’s, pre-eminent green tea growing region. The Uji region features extremely permeable and calcic soils which are ideal for farming tea. It’s landscape of mountainous terrain and basins, with crystal clear rivers, attract fogs and mists making it a tea growing paradise. Uji has a generally warm climate, but experiences significant morning and evening temperature differences. This, and regular misty weather, provides the perfect environment to produce high-quality tea.